Australia 7-250 (Michael Hussey 65, Glenn Maxwell 56*, Saeed Ajmal 3-37) beat Pakistan 7-244 (Mohammad Hafeez 78, Nasir Jamshed 48, Mitchell Starc 4-51) by three wickets. A pathetic ground fielding by the Pakistani squad cost them the second ODI vs. Australia as the visitors outplayed them in every department of the game. Pakistan scored 244 runs with three wickets in hand in their allotted quota of 50 overs and Australia chased the target successfully by smashing 250 runs after losing seven wickets and 18 balls to spare. Michael Hussey (Australia) was declared ‘Player of the match’ for his excellent knock of 65 runs. Mitchell Starc was declared ‘Player of the series’ for his superb bowling in it. The third and Final One Day International of the series was played on Monday, September 3, 2012, at Sharjah Cricket Stadium. Earlier, Michael Clarke, the skipper of Australia, won the toss and put Pakistan in to bat keeping in view the difficult bowling conditions during the night. The Green Shirts initiated the innings with Mohammad Hafeez along with Nasir Jamshed and they started off reasonably well by scoring 36 runs in the first 10 overs . The first fifty of the innings was scored in the 15th over as Daniel Christian dropped Mohammad Hafeez at his own bowling for 26 runs on the last ball of the next over. Mohammad Hafeez was the most aggressive of the two, he hit the first six of the innings on the first ball of the 21st over and attained his fifty in the next over. Pakistan got the first hundred in the 23rd over as Mohammad Hafeez hit two consecutive fours in the next one. The openers provided a solid start of 129 runs in 26.3 overs when Nasir Jamshed was gone for 48 runs. The next two wickets fell in quick succession as Mohammad Hafeez became the third victim at 155 after scoring 78 off 97 balls with 2 sixes and 4 fours. The middle order batting was unable to capitalise on the solid opening stand and just three batsmen managed to reach the twenties. Pakistan scored 244 runs for the loss of seven wickets at the end of the 50th over. Mitchell Starc was the most successful bowler with four wickets, Mitchell Johnson held two and Michael Clarke claimed one wicket. The Australian innings was opened by David Warner and David Hussey keeping in view the long run chase. Warner hit 3 fours in the 2nd and 3rd over followed by a six in the fifth over. Hussy punished Mohammad Hafeez for two huge sixes in the sixth over and he was dropped at 22 by Shahid Afridi off Abdur Rehman on the first ball of the 9th over. The Green Shirts got the first breakthrough when David Warner was gone for 21 as the total reached 44 runs. Michael Clarke joined in next with David Hussey and the run rate was escalated by the two batsmen. The score was doubled by them when Clarke was smartly stumped by the wicketkeeper, Kamran Akmal, off Saeed Ajmal for 32 runs. The most experienced batsman of Australia, Michael Hussey, walked in next and hit a six in the 21st over while his brother, David Hussey also hit another six on the first ball of the next over. The latter was caught in the same over by Abdur Rehman at wide long on off Saeed Ajmal for 43 off 45 deliveries with 3 sixes. The fourth wicket was gone at 108 in 23.5 overs when Matthew Wade associated with Michael Hussey. 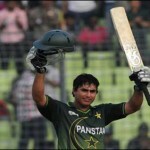 Kamran Akmal missed an easy stumping of Wade at 16 on the fourth ball of the 32nd over bowled by Azhar Ali. Hussey hit a couple of fours in the 35th over and the score was enhanced to 159 as Matthew Wade was clean bowled by Abdur Rehman for 22 runs. Australia required 65 runs to win the match from 66 balls when Glenn Maxwell and Michael Hussey were at the crease. 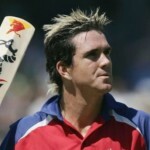 Hussey dispatched 3 fours in the 40th over off Abdur Rehman and made life easy for his team. Both batsmen hammered Shahid Afridi for 16 runs in the 43rd over with 1 six and 2 fours. Maxwell was dropped at 34 runs at deep midwicket by Azhar Ali on the first ball of the 45th over. The sixth wicket partnership associated a match winning partnership of 67 runs in 54 balls as Michael Hussey was clean bowled by Junaid Khan for 65 off 72 balls with 1 six and 7 fours. Maxwell took over from there and punished every bowler including Saeed Ajmal. He remained unbeaten for 56 off just 38 balls with 3 lofty sixes and 4 fours as the Kangaroos thrashed 250 runs for the loss of seven wickets in 47 overs. 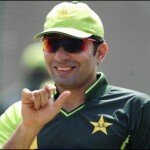 Saeed Ajmal was the highest wicket taker with three whereas Junaid Khan and Abdur Rehman shared two wickets each. 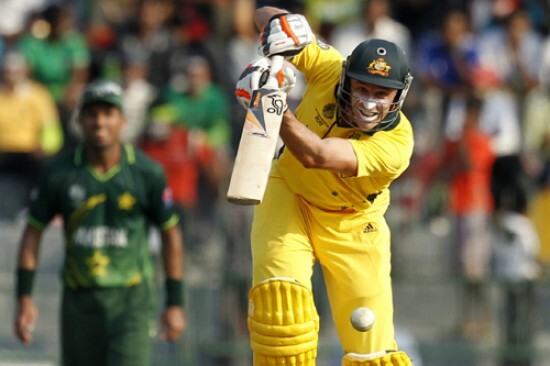 Australia won the thrilling encounter with a margin of three wickets and clinched the three ODI series 2-1.